After multiple seasons of teasing Connor Hawke, he is finally here. However not the way you would think. Earlier Comicbook.com Reported and Exclusive find. In the show Connor will NOT be the son of Oliver and Sandra. After teasing this with Sandra, the hidden child, the mysterious phone call, etc; this will all be a slap in the face. Or maybe not. Sandraw Hawke in the comics is half Asian, half African-American but the tv show failed to do this correctly. Lately they’ve tried to sway more toward source material. Connor Hawke will be black. He will be a martial artist. He will not be the son of Oliver and Kendra. Lets remember this is Legends of Tomorrow. Time Travel. Alternate Dimensions, Earth-2, New 52, Etc. 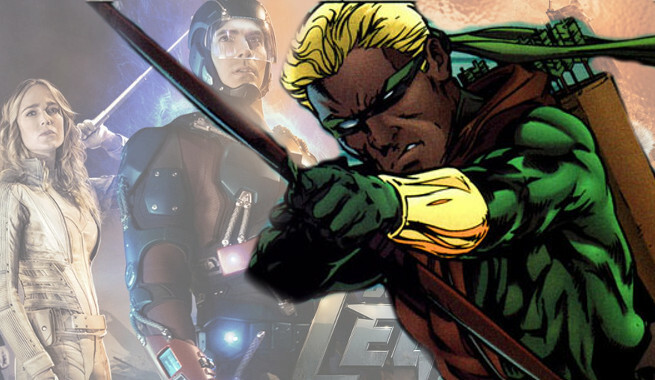 Connor hawke could in fact become the Red Arrow. Connor Hawke that is Oliver’s son could infact one day come into play with the Legends’ Connor Hawke. I guess we will just have to wait and see. Connor Hawke, Oliver Queen, Green Arrow, Red Arrow, Arrow, DCTVU, DCEU, New52, Sandra Hawke, Legends of Tomorrow, Rip Hunter, Wormhole, Time Travel, DC Comics, DC Television, All things DC.